He was only 28 years old at the time of his death, but Heath Ledger had already established himself as a highly respected actor. Ledger’s memorable roles in Brokeback Mountain and 10 Things I Hate About You are undoubtedly iconic, showing his impressive range. However, it was his part as the villainous Joker in The Dark Knight which would go on to define his tragically short career, opening six months after his death. 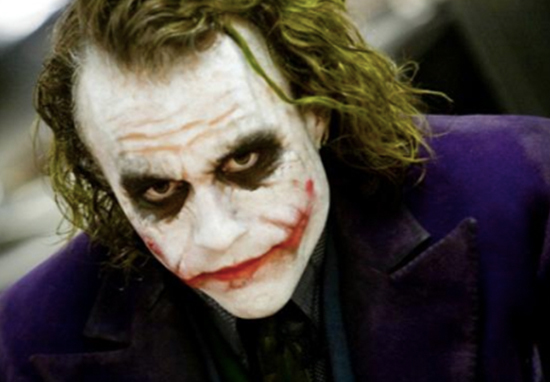 Dark, sadistic and anarchic, Ledger’s deeply influential depiction of the DC villain brought a decidedly richer and complex palette to the comic book genre. It’s therefore no great surprise how many fans believed Ledger was intended to resume his role for a second instalment, which would have differed in plot from The Dark Knight Rises. I spoke to him the night before [he died] and we were laughing and joking. He was so proud of what he had done in Batman. And I know he had plans for another Batman. He loved working with Chris Nolan and Christian Bale and Gary Oldman. He just had the best time ever doing that film. When he came home at Christmas he couldn’t wait to tell us all about it and he was doing the voice and laughing, showing me all the rushes. We had a great time. Each portrayal of the joker in films brought a different aspect of joker’s personality to light. Cesar Romero brought The Clown. Jack Nicholson was The Gangster. Heath Ledger was The Anarchist & Jared Leto was the Psychopath Criminal. Ledger continued this profound sense of commitment throughout the filming process, throwing himself into the role of the Joker with a notorious intensity. Ledger reportedly locked himself away in a room for about six weeks, scribbling in a journal, researching source material, and perfecting the voice and laugh which would make cinema-goers shiver. The resulting journal became a touchstone for Ledger when embodying the cruel clown; stuffed with everything from photographIC stills from A Clockwork Orange to images of hyenas. No one will ever be able to touch Heath Ledger's Joker. So why even bother??? Jared Leto shouldn’t be allowed more than one Joker movie if that’s all Heath Ledger got. Images have recently emerged which show early concept art for The Dark Knight’s incarnation of the Joker. Interestingly, the concept uses Elijah Wood and Trent Reznor as the base, with this early stage Joker sporting cropped cut rather than the tangled, matted hair adopted by Ledger. Although Tom Hardy was brilliantly menacing as Bane in The Dark Knight Rises, Heath Ledger fans will always wonder what could have been if their hero had been able to further explore the chaotic nihilism of his most famous character.